I feel that the cover art misrepresents the book’s contents a little bit, because based on my other experiences with books painted in this light, I immediately get this sense that there’s a potential for romance between the two characters and they’re on equal footing. While that may happen in other books down the line, I quickly learned that the characters’ body language is also very telling for this story. The two are very much at odds with each other and they are staring straight ahead — NOT at each other. This may be subtle, but I want to point this out that their relationship is established from the beginning and they (for lack of a better word) really do hate each other. Bannon is a forensic sorceress with sharp tongue and a fierce disposition. Clare is at war with his own mind. His conflict is internal; he can become overwhelmed easily if the world doesn’t fit within his rational parameters because of his preternatural logic machine. (Or, in other words, his extremely complex Mentath brain.) Her conflict is external. Her charges have been killed, she can’t trust her protector Mikal known also as her “Shield,” and someone has targeted the young Queen. It’s also social. While there are flavors of Victoriana here, some of the social constructs still ring true. Even in this alternate setting, men and women are expected to act in a proper manner befitting the late nineteenth century time period. As soon as I realized that this was not supposed to be a historical reenactment or a purist’s definition of steampunk (whatever that happens to be), I let Bannon take the lead, settled into a magically-embedded world, and stopped worrying about the particulars. While I’m fascinated with the steampunk genre, I tend to focus more on story anyway, so if there’s a specific historical thing you’re hoping to hang your proverbial hat on, you won’t find yourself drowning in those details here. 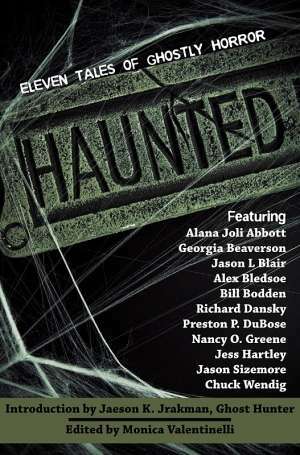 Set in an alternate Victorian era, this fast-paced story takes place in and around Londonium. The worldbuilding is embedded into the plot as opposed to something that’s revealed slowly and carefully. I felt this was necessary to preserve the suspense, mystery, and pacing of the tale, since much of the necessary development is focused on the characters themselves. This, to me, means that some of you may read this and want to know more about the world up front, based on the styles of storytelling that you’re used to. However, there is character growth for both Clare and Bannon within the context of the plot. This means that the story is unlike Sherlock Holmes in the sense that the characters here are not iconic. They will grow and change with their experiences. If The Iron Wyrm Affair is any indication, we’re not going to meet them for the first time and see them do the same thing over and over again in every story. I thought here Clare’s character shifted more than Bannon’s did, but her catalyst originated from a different part of her character that was not based on her sorceress’s power. It originated based on what both her and Clare tend to avoid (and have in common): human emotion. As others pointed out, I did get the sense that Clare was a nod to Sherlock Holmes. 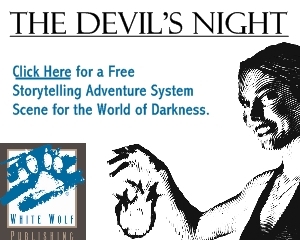 (Note: I didn’t read all the marketing materials and kudos before I dove into the story because I’ve been in marketing for far too long. I tend to do that after the fact, though!) In particular, the use of the word “Mentath” made me realize that this wasn’t a Victorian-era logic puzzle, this was something else. Once I got past that Clare was not Holmes, I started to think about what he was dealing with. In many ways, he is painted as a victim rather than a hero. He is the weaker of the two investigators, but I felt that was appropriate given his level of experience. Bannon is far, far, far stronger because she is at the top of her game. She is Prime, she has been on investigations before, and she already has the Queen’s trust. Clare, on the other hand, has none of these things. When the story begins, he is physically incapable of dealing with his enhanced mind. This puts him at risk — he can literally lose himself in his thoughts and never come back to the real world. Bannon has her own weakness; her magic is renewed every Tideturn and she, like Clare, can lose herself in her magic. Getting the two to work together, even though they are at odds with one another, isn’t as easy as it sounds because Clare is just learning how to be an investigator. To bridge that conflict, the story is made stronger by the way Saintcrow handles a cast of secondary cast of characters integral to the plot. In many ways, I felt more drawn to the mystery the better I got to know the characters. I welcomed the pulp aura the story gave off and could imagine this as a graphic novel or a comic book series. Still, everything in the overreaching story about a sorcerer gone wrong, a terrifying machine, and a throne at risk, was inserted for a purpose. The tightly-woven prose very much reminded me of all the reasons why I like properties like Hellboy. There are recognizable characters, a deeper mystery, and a world we get to know through the character’s experiences. Not to mention, there’s a horrific element that sets the stakes a little higher, then a little higher still. While the main plot was resolved within the first book, I have my suspicions that it is nowhere near done and some of the villains will be reappearing either physically or mentally. I’m curious to see what happens next and how SaintCrow handles the challenge a lot of writers face. Will she reveal more world as the series continues? Or will the characters evolve in bigger, better, and maybe even a few not-so-nice ways? 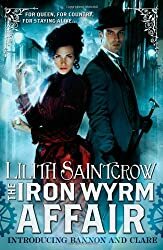 If you like steampunk for its possibilities within dark fantasy, strong female characters, and character-driven stories, I think you’ll really enjoy The Iron Wyrm Affair.